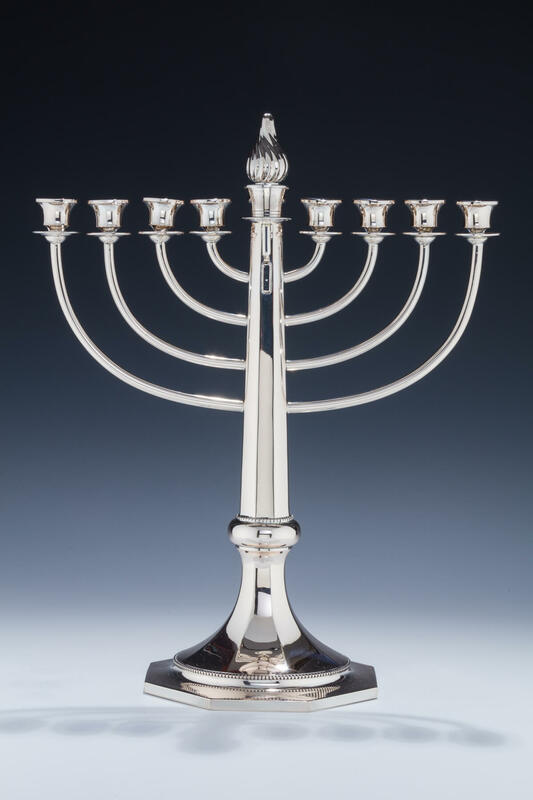 A LARGE SILVER HANUKKAH MENORAH. Germany, c. 1900. On eight sided base decorated with beading. Main portion in traditional form. Topped by a flame. Marked 800, crown, moon and maker JBN. 15” tall.